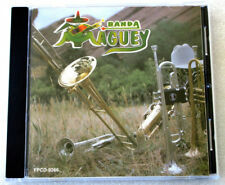 ORIGINAL RELEASE 1996 INTERNATIONAL /FANIA RECORDS INT-916. GOOD LUCK! PRE OWNED LOS TRES MTV UNPLUGGED CD. Title: Hasta Luego. Artist: Los Rodriguez. Format: CD. Item Condition: New and unplayed. 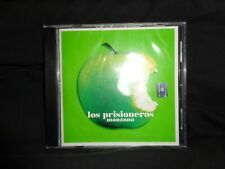 LOS PRISIONEROS CD.BUY IT BEFORE IT'S GONE. Author/Artist: Los Lobos. (Item #ZB00000JMK9Z2|0). Condition: Very Good. Artist: Los Ratones Paranoicos. Format: CD. Item Condition: New and unplayed. Artist: Los Fabulosos Cadillacs. Title: Coleccion Inolvidable. Los Olvidados. Format: CD. Condition: New. El Genio Del Dub. Estoy Harto de Verte Con Otros. Demasiada Presion. Artist : Los Lobos. Label : Hollywood Records/Mammoth. Binding : Audio CD. Artist: Fito & Fitipaldis. Title: Lo Mas Lejos A Tu Lado. Nubes de Tu Pelo. Format: CD. Siempre Estoy Soo [Video]. Condition: New. Quiero Ser Una Estrella. Soldadito Marinero. LOS FANCY FREE –NEVERGREENS VOL. 1 to 2 Cd’s. REST OF THE WORLD. FEEL FREE TO ASK. MONEY MONEY MONEY. VIVIR ES FACIL. Pateando Piedras. 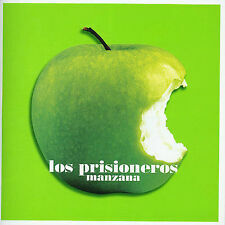 Los Prisioneros. Cds manufactured in Chile are hilghy sought after by collectors because of its quality and being Chile a small market, usually very few units were pressed. CD 100% ORIGINAL. GOOD LUCK! Los Patos (DVD). Nada Ni Nadie. About Movie Mars. Complicado y Aturdido (DVD). Sin Cadenas (DVD). Runaway (DVD). Pupilas Lejanas (DVD). Hiena (DVD). CD has light scratches but tested and plays perfectly fine. Incluye las caratulas frontal y trasera, nueva caja, el CD tiene algunas rayas, ha sido probado. All Art work included New Case,Case cracked on the front right lower corner (See Photo . ). CALAVERAS Y DIABLITOS (4'22). LOS FABULOSOS CADILLACS. Special item for all the LOS FABULOSOS CADILLACS fans and collectors. Articulo especial para todos los fans y coleccionistas de LOS FABULOSOS CADILLACS. LOS ENANITOS VERDES. Special item for all the LOS ENANITOS VERDES fans and collectors. CD SINGLE PROMO ESPAÑOL muy raro con 1 tema ENTREVISTA - DALE PASCUAL. Este CD SINGLE PROMO es del año 1.996 y AHORA es MUY, MUY DIFICIL DE CONSEGUIR porque este CD está DESCATALOGADO desde hace 23 años! LOS ENANITOS VERDES. Special item for all the LOS ENANITOS VERDES fans and collectors. CD SINGLE PROMO ESPAÑOL muy raro con 1 tema - ETERNA SOLEDAD (2'53). This RARE PROMO CD SINGLE is from 1.996 and NOW is VERY, VERY HARD TO FIND because the CD is OUT OF PRINT for 23 years ago! Artist: Natalia Lafourcade. 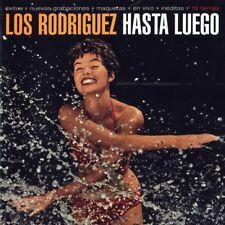 Label: Sony U.S. Latin. Release Date: 2017. Mi Novia. - (studio). Desapariciones - Incluye Rio Manzanares (studio). About Movie Mars. Fin - Gallo Rojo (studio). You're Wondering Now - (studio). Guns of Brixton - (studio). Title:12 KILATES MUSICALES. Artist:LOS INVASORES DE NUEVO LEON. CONDITION: SEALED, tape over shrink on back. Title:DISCO DE ORO. 2000 Peerless. CONDITION: SEALED. See my other CDs-cassettes for sale! Factory Sealed. Highly Collectible. 1991 RCA-BMG Latin - new factory sealed promo cd with tiny drill hole in bar code. ENVIO : GRATIS A TODOS LOS ESTADOS DE USA. ITEM CONDITION : NEW SEALED FROM FABRIC,NEVER OPEN BEFORE. Title: Fieras Lunaticas. Artist: Los Ratones Paranoicos, Ratones Paranoicos. Format: CD. Item Condition: New and unplayed. ORIGINAL RELEASE 1988 KAREN RECORDS CDK-102. FIRST PRESSING ( OUT OF PRINT). GOOD LUCK! CD IS IN VERY GOOD CONDITION. BACK INSERT HAS A SMALL RIP FROM HANDLING. LOS HERMANOS ROSARIO OTRA VEZ.! ORIGINAL RELEASE 1992 KAREN RECORDS CDK- 118-2 RL. 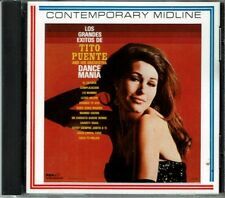 ORIGINALLY RELEASED IN 1969, THIS CD 1998 SONIDO TICOFANIA RECORDS TRSLP 1182. CD 100% ORIGINAL.